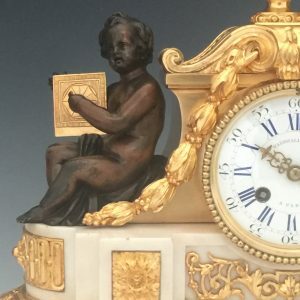 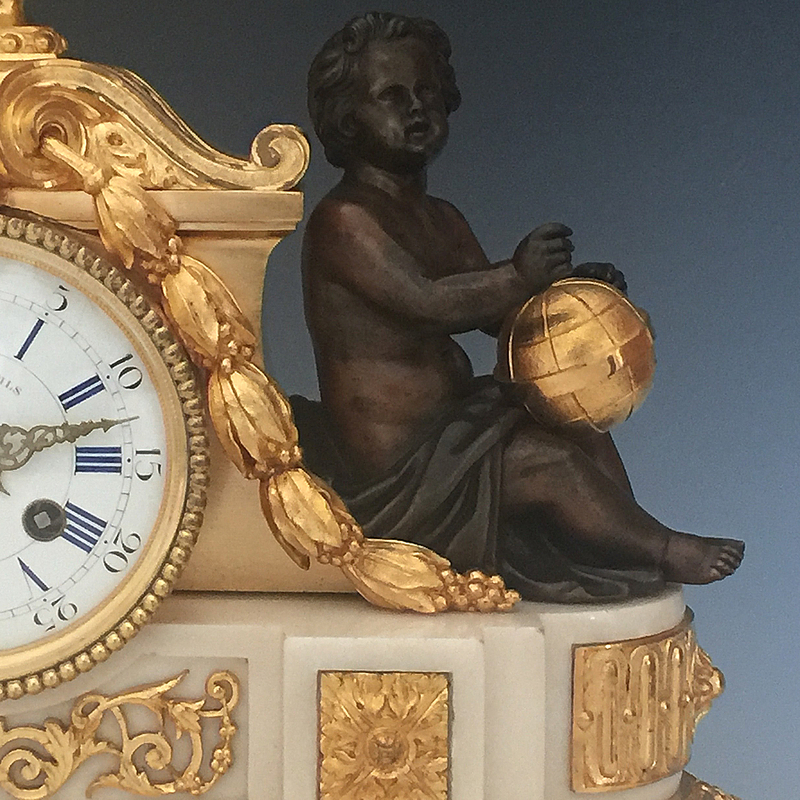 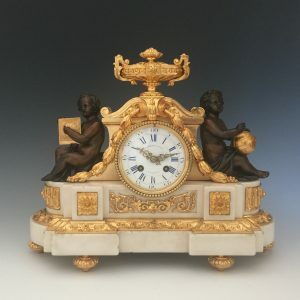 A Napoleon III, French, gilt bronze & carrera marble mantle clock by Henri Picard and retailed by Marshall & Fils Paris. 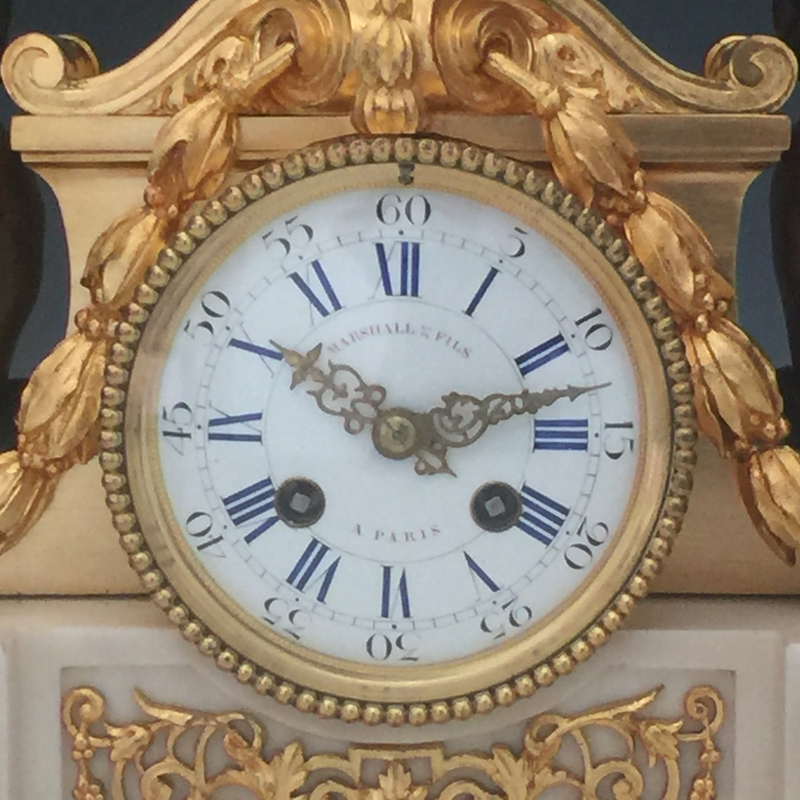 The white enamel dial with blue Roman numerals and eight day movement, Brocot suspension with outside countwheel striking the hour & half hour on a bell. 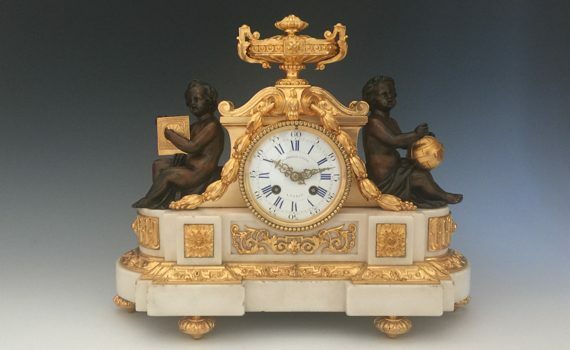 The Louis XVI style case with a pair of bronze patinated putti, allegories of astronomy, surmounted by an urn above a steeped plinth base mounted with finely chased gilt bronze. 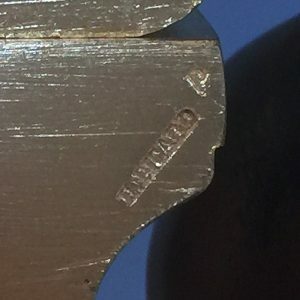 The case signed ‘H Picard’. 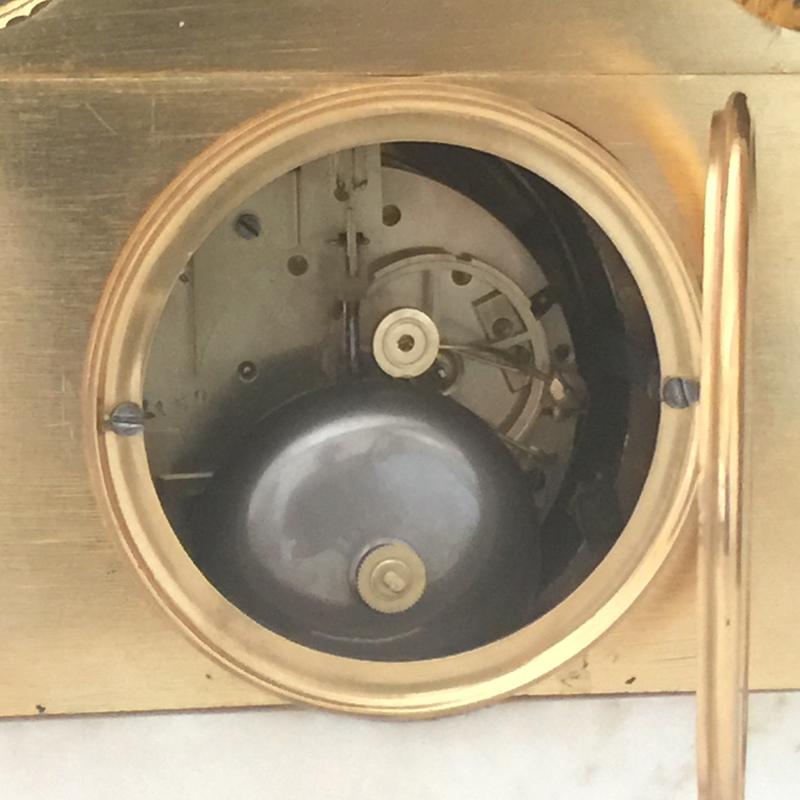 All our clocks are sold with a years guarantee having been professionally serviced & overhauled by a registered FBHI.